Aluminum die casting and sand casting are both common methods for producing parts out of metal. But what is the difference between these two methods, and which is better? Sand casting is the simplest and most popular type of casting. Sand castings can be made from a wide variety of metals. The most popular are aluminum, grey iron, ductile iron, steel, and magnesium. The process begins with a mold in the shape of the desired part, which is put in the core box. The core box is then filled with sand and some sort of bonding agent, usually clay, and packed down to hold the shape of the mold. Then the sand is removed from the core box, leaving a cavity in the shape of the mold, and filled with molten metal to create the desired part. Sand casting requires up to five minutes of downtime between pours while the mold and sand are prepared. Sand casting is therefore best suited to making a small number of parts. Sand casting is also a less precise process, making it a better choice for parts requiring less precision. 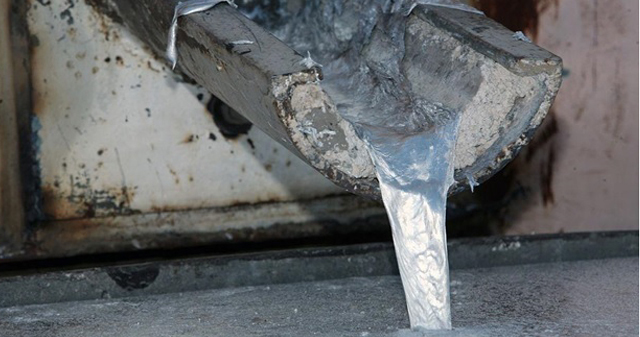 Die castings are usually made of non-ferrous metals such as aluminum, zinc, copper, magnesium, lead, or tin. Die casting molds, usually made of hardened steel, are created by using high pressure to force molten metal into the desired shape. Metal is then poured into the mold to create the part. After the part is created, the die casting mold can be closed and reused. Although die casting is a more expensive process than sand casting up front, these molds can be reused, which makes them more cost efficient for high volume production. Die casting is also useful for highly detailed parts that require precise replication. Seeking out good custom aluminum die casting companies is an essential step when selecting high-quality die castings to cut down on casting cost, improve the casting’s precision, and save you time. Need a Custom Aluminum Die Casting Products Manufacturer? If you are looking for aluminum die casting services for extruded profiles or other thermal management solutions, call us at 888-000-8499 or visit our Contact page.